For some reason, I’m having to cut entries that didn’t post and paste them into brand new posts. May has been another crazy month for me, so I’m behind on everything. And while I usually participate every week for TWD, with some exceptions from time to time, this month I only managed to make two things, and one of those posts is the one that I’m having to cut and paste into this one. Next month also looks very busy, with two out of town trips, but the recipes are more amenable to being made ahead so I’m looking forward to it! Like Wendy over at Pink Stripes, I’m experiencing a big blogging block, in addition to all the other nonsense that one has to deal with in life. I’m taking a look at my schedule and my blog, and trying to figure something out that will keep me posting, because I am cooking! I’m not quite sure what’s going on, but I wrote a bunch of posts that were supposed to go up while I was traveling. So, I got home, turned on the computer, checked the blog, and found . . . nothing. So, I’m here, I’m alive, and I’m experiencing technical difficulties. Posts should be going up soon as I figure out what I’m doing wrong! 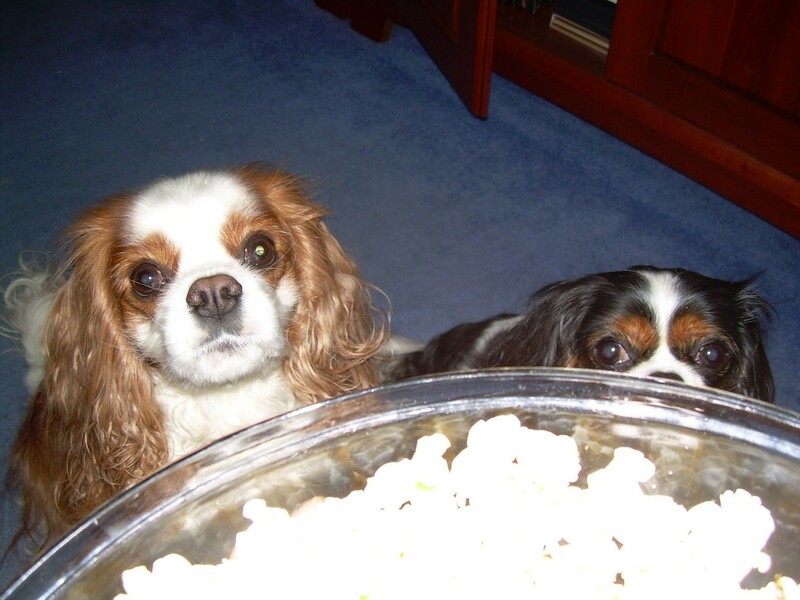 Photo above are Gus and Daisy, my little Cavaliers, begging for popcorn, which they are crazy about. This is my sweet pup, Gus. 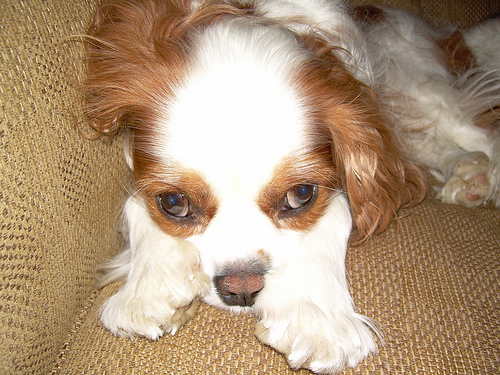 He’s as close to me as you can get without being physically attached! 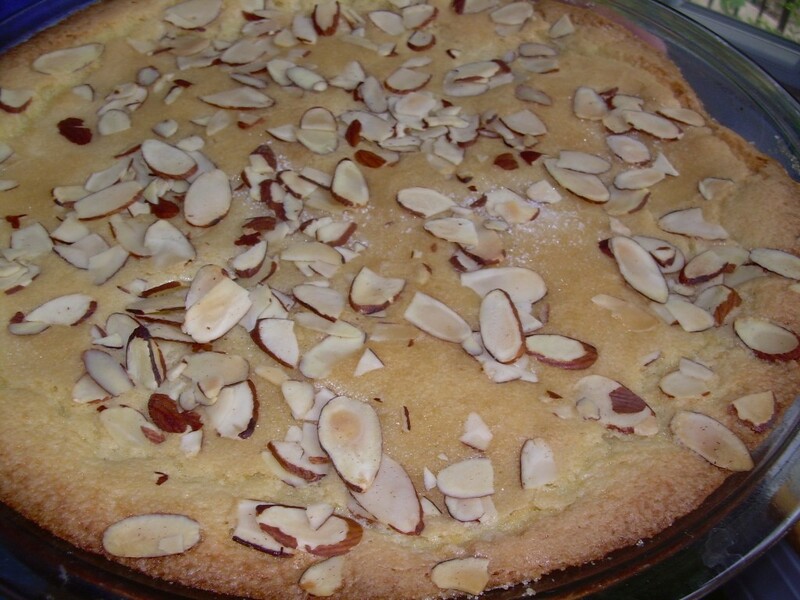 This week for Tuesdays with Dorie, Nancy of The Dogs Eat the Crumbs selected Swedish Visiting Cake on page 197. I love both of Nancy’s blogs, and I encourage you to check them out. I whipped up this cake for some friends who were coming over for lunch, along with some brownies, just in case the cake didn’t work out. 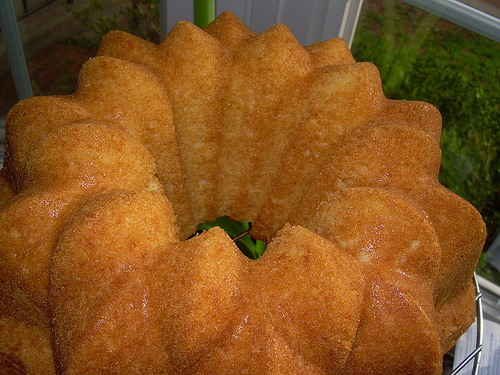 Well, everybody liked the cake, but my husband and I REALLY liked the cake – perfect with a cup of coffee or tea. And contrary to Dorie’s statement that the cake was best on the first day it was made, we found that it got better over time. And one of the best things was that this cake came together in under 10 minutes! Fabulous! 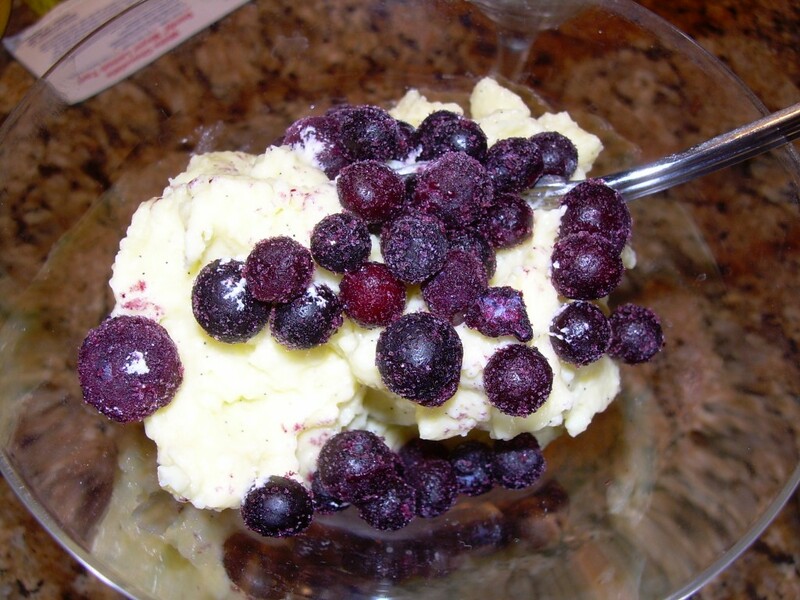 Be sure to check out the TWD blogroll and Nancy’s blog for the recipe! While I was studying for another EMT test, I managed to catch Five Ingredient Fix on the Food Network this past weekend. I like Claire Robinson’s show – she is entertaining, and the recipes are easy to pull together. 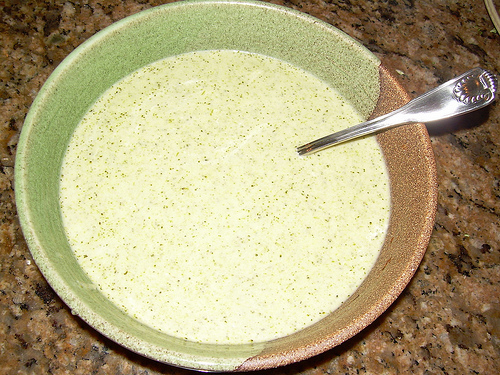 So when I saw her make this Creamy Broccoli Soup, I knew that I had to use up some broccoli in the fridge on this recipe. It’s fantastic. My husband had two bowls the first night, and we managed to share the leftovers. I tasted the soup before the addition of the mascarpone, and the soup is delicious (and low fat) even if you leave it out. I also added a dash of cayenne, and a bullion cube because I added a cup of water to the recipe to make up for the greater amount of broccoli that I was using in the recipe. This soup will be making frequent appearances at my dinner table, that’s for sure! continue reading "Claire Robinson’s Fabulous Creamy Broccoli Soup"
This week, Erin of When in Doubt…Leave it at 350 chose Mocha-Walnut Marbled Bundt Cake on pages 180 and 181 of Dorie’s book. Basically, this is a buttery walnut bundt cake with a very dense, chocolaty chocolate swirl. Did I say chocolaty? That swirl was chocolate heaven. 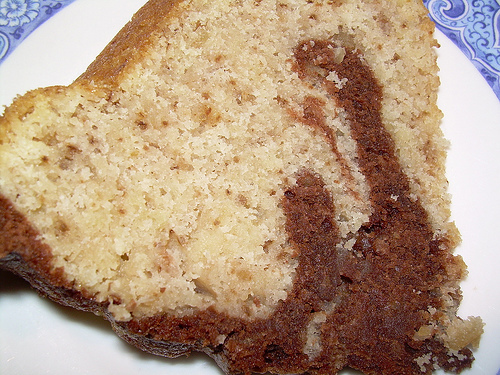 The white part of the cake tasted a lot like banana bread to me, probably because of the ground walnuts in the batter. 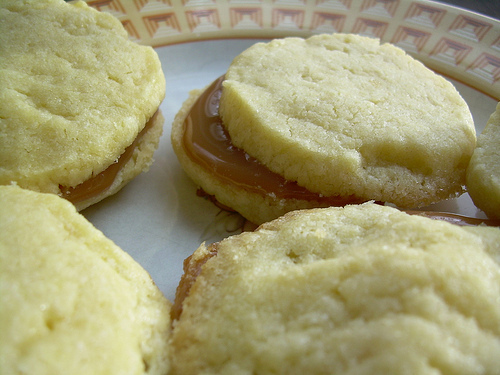 And, for once, I really didn’t change a thing in the recipe – no tweaking, no additions, no omissions. 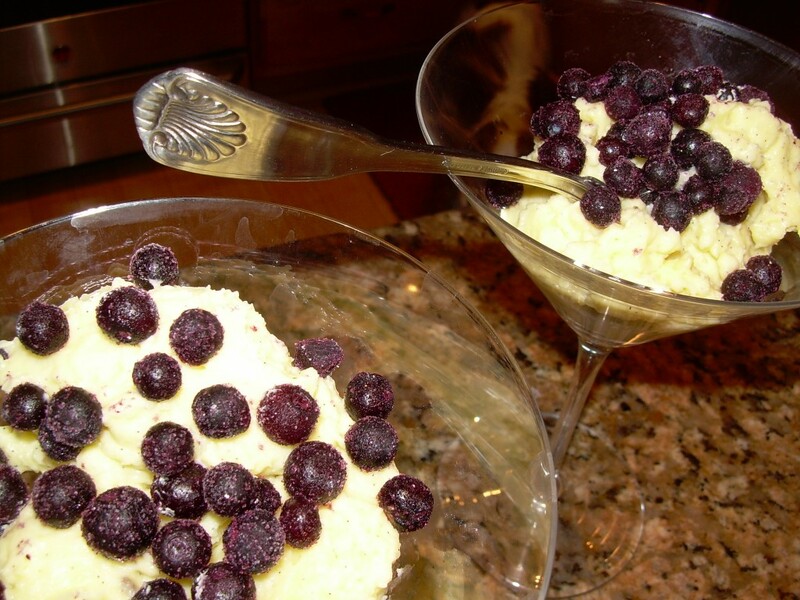 An elegant, rich cake that I will be making again. Did I mention that it was chocolaty? Yum. 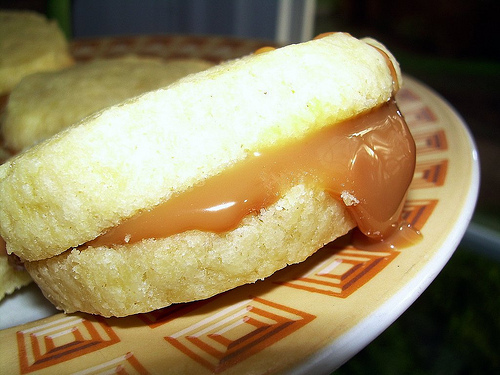 To see what others have been up to, be sure to check out the TWD blogroll, and Erin’s blog for this recipe. I have been in a chocolate mood lately, a result of stress for me and not fluctuating hormones. Fortunately, I came across this article: Eating more chocolate associated with fewer cardiovascular events. Well, of course, I had to make something with chocolate for my heart, preferably with some butter and cream. And sugar. It was all for my heart, you see. So I whipped out the recipe for Double Chocolate and Cherry Scones with Crème Fraiche and Cherry Preserves from Baking Obsession, one of my favorite blogs. Because I had no idea where my dried cherries were, and I needed a chocolate fix fast, I omitted them and substituted chocolate chips for the chocolate chunks. I needed the full amount of cream, including the optional 2 tablespoons to pull the dough together. These were freaking fantastic. Even my husband, who likes chocolate but prefers other flavors, thought they were amazing. Definitely on the repeat list. And if I could give one bit of advice, use a really good cocoa. I used Pernigotti, which is absolutely amazing. 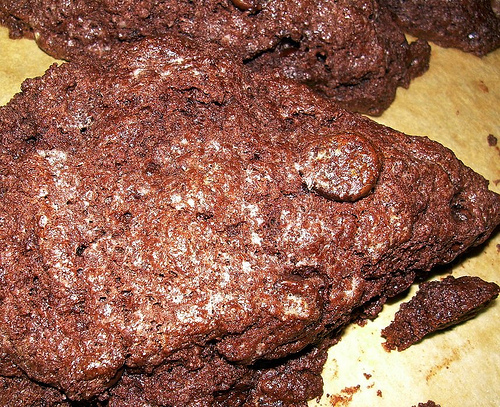 continue reading "Fantastic Chocolaty Chocolate Scones"
Including the use of salt in all baked goods, pickles, ham, and cheese. Because, as you must know, the economy is booming, the world is at peace, and cancer is cured. That is why legislators have the time and energy to focus on The Great Salt Menace. 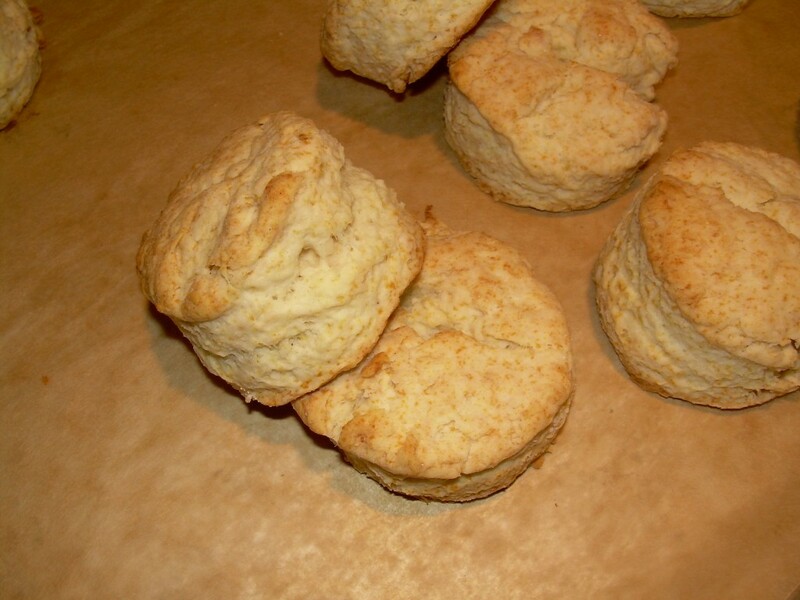 A new bill in the state Assembly would ruin restaurant food and baked goods as we know them. In a deeply misguided gesture that is also an abuse of the legislative process, a New York City Assemblyman is pushing a nanny-state bill that would ban the use of all forms of salt in the preparation and cooking of all restaurant food.